Is our website specifically built to sell our products and/or services to our audience? Have you ever browsed a website that just feels easy to use and buy from? Alternatively, have you ever entered a website ready to buy its products, but you just didn’t know where to click to purchase their goods? I’ve personally been on both sides of this story. I’ve seen websites that drive considerable traffic, but have fundamental flaws in its design and therefore, can’t seem to convert (or at least not as much as they should). Businesses and marketers alike actually lose money on these websites, even though they’ve invested in top of the line backlinks and copywriting. Landing page optimization allows you to turn your page into a conversion magnet to people that click your search engine results listing because it is scientifically designed to hook your target audience with content relevant to your ads and descriptions. People instinctively know they’re in the right place, but how is this possible? If you’re methodical in your testing (we’ll teach you how in this guide), you’ll boost the number of subscribers, sales and/or conversions in your website, even if you haven’t boosted your traffic numbers lately. From a financial standpoint, it makes a lot of sense: if we’re willing to invest resources into getting to the #1 spot in our target keywords, we should definitely invest time into making sure they actually convert once our prospects are here! So, where do we start? We’re going to start with the most effective method: Landing Page A/B Testing. Landing page A/B testing is in a nutshell, a method to compare two versions of a webpage to see which one is more effective when it comes to conversions. Notice we mention “conversions“, and this could be anything from subscribing to your newsletter, clicking your call to actions and even buying products. You’ll “test drive” both versions, specifically by getting visitors to browse both iterations of your landing page, gather data and finally decide: which version is objectively better. Now that we understand the basics behind landing page optimization, We’re going to outline step by step what we need to do, along with our favorite Conversion Rate Optimization tools. We can’t conduct our landing page optimization experiments without data. So, how do we begin harvesting data? For simplicity’s sake, We’re going to offer two options. A combination of Google Analytics and Google Optimize, or Optimizely. Google Analytics and Google Optimize are both free tools developed by Google. By now, you should have Google Analytics installed regardless if you’re thinking of using its data for landing page optimization. 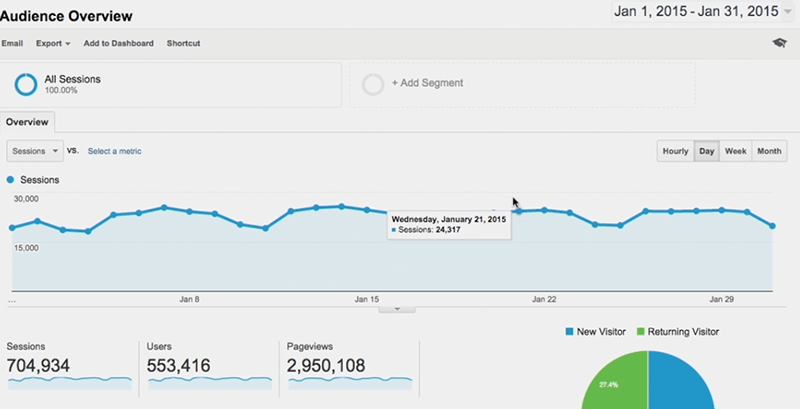 If you need help setting it up, check out our Google Analytics For SEO guide. 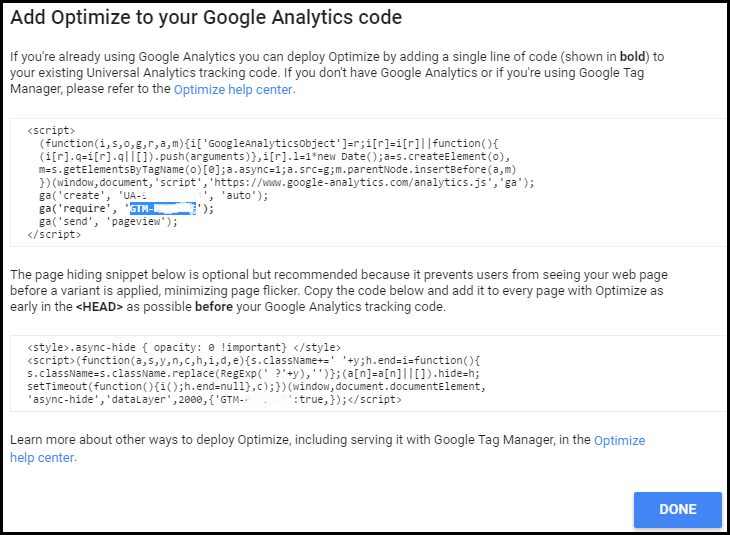 Google Optimize, same as Google Analytics, will require you to link it to your site with a code snippet. Redirect test: Send traffic to two or more completely different URLs, instead of changing elements on the same URL. For now, we suggest you stick to either A/B Tests or Redirect Tests. Multivariate Tests are considerably more complicated, and by the time you actually need some of these tests, you’ll probably have a much superior budget that allows you to buy a tool that does this more easily. If you choose A/B test for your landing page optimization, Google will generate a code editor that lets you edit elements on your page. 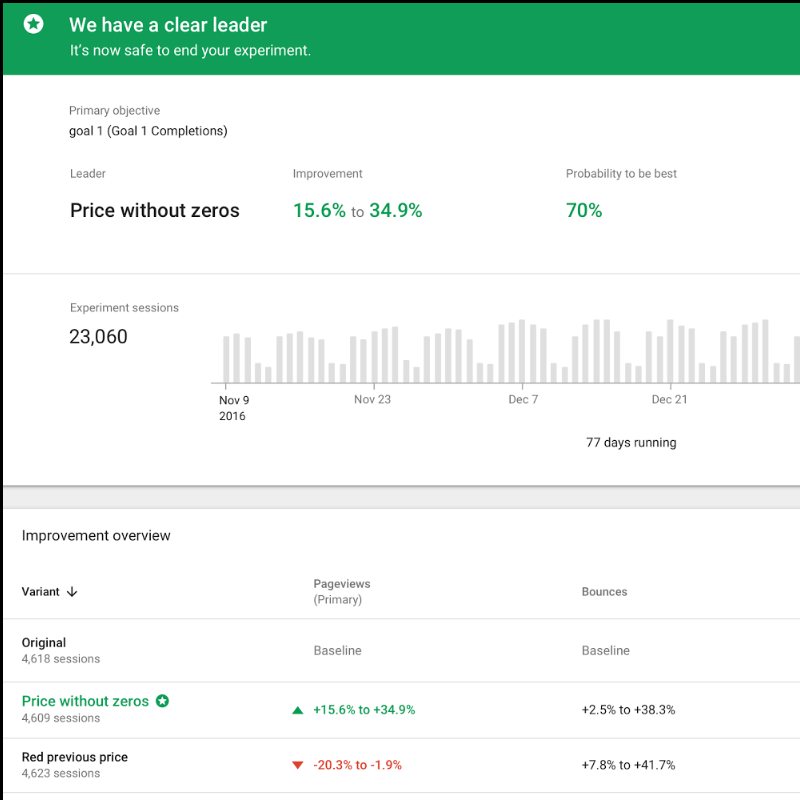 Whether you’re using Optimizely or Google Optimize, you’ll find that testing a single variable, and then initiating a new experiment with a new variable is by far the most efficient way to find your perfect landing page. Also, this might sound evident, but if you’re still not generating enough traffic to your website, then chances are a landing page optimization campaign won’t change things dramatically for your business in terms of revenue. In fact, your samples might not be large enough to draw good conclusions and could harm your business. If you need to boost your traffic and climb the SERP results, we highly suggest you check out our ranking guide and some of the other SEO articles we’ve written in our blog. 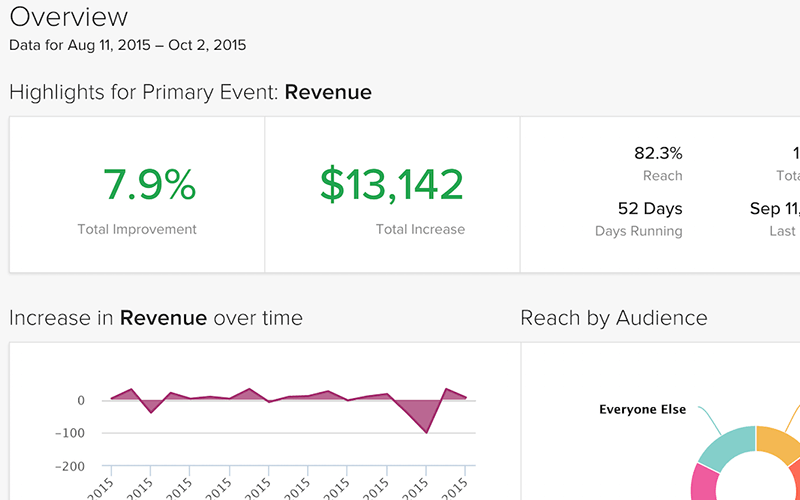 Moving on with our second option, Optimizely. Optimizely, on the other hand, is considerably easier to use. It has a drag and drop interface (Optimizely Editor that allows you to edit each variant fairly easily). You are then given a code snippet (that you place on your WordPress editor). It automatically executes all the changes made on your Optimizely editor and begins tracking all your data in real time. The basic principle of testing one thing at a time holds true, but the main difference between these two tools is that the Google landing page optimization suite is free (but somewhat more difficult to use), while Optimizely is a premium tool (but incredibly easy to use). This doesn’t mean there aren’t other WordPress plugins or applications that can help you in your landing page optimization goals. There are other paid WordPress plugins that function in a similar fashion to Optimizely, but we’ve found Optimizely to be an amazing tool for its price. They do have a free trial in case you want to try it out, the only problem is that it only lasts for a month. 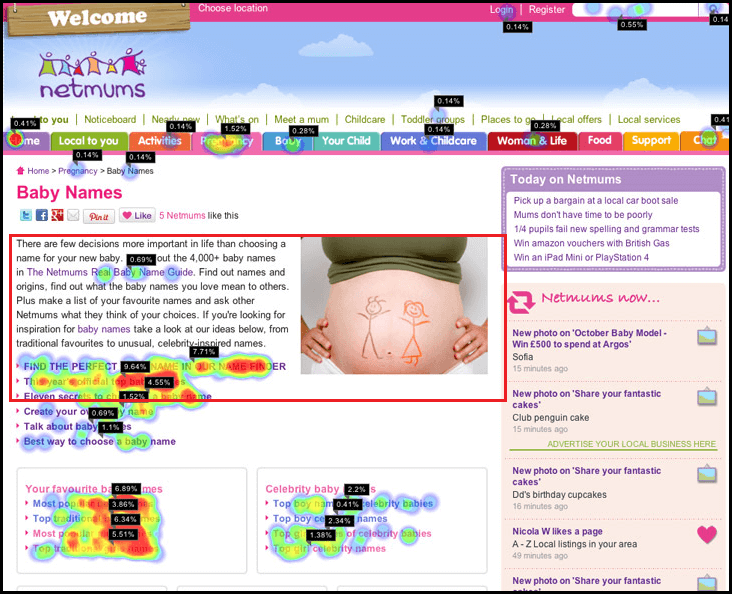 We’re going to use a WordPress plugin called Heatmaps. Follow the instructions to install it, and record five different pages of your choice. If you’re running an affiliate marketing site, I recommend you choose your Money Article, your Homepage and three high traffic articles. If you’re running a business website, track your homepage, categories, your highest converting product, and your lowest converting product page. Is your above-the-fold content (headlines and images) consistent with your SERP description and offers? Once you’ve optimized your Search Engine Result Page Snippet with our tool, you have to make sure the first thing your customer feels once they’ve arrived at your page, is that they’re in the right place. You have to meet their expectations in fractions of a second. Build confidence, be clear and concise! Are your call to actions doing their job? Once your prospects get past your headline, you should see some heat signatures around your CTAs. If you don’t, then make sure that your Call to actions are visible and clear. Use your media resources here, you’re not going to transition your potential customers to active buyers if you’re using a boring wall of text. Play with contrasts, images or very short forms if you want them to sign up for your newsletter. Once you get to the Social Proof section of your website, you need to evaluate if your testimonials are relevant to what you’re promoting in a particular site and if they’re compelling to your prospects. You might not have any testimonials, but if you have recognition badges or free shipment promotions, they’re also valid. If you don’t see any activity here, you might need to check for distracting elements on your page, which could be in the form of multimedia resources or even link to other articles that are sabotaging your selling process. 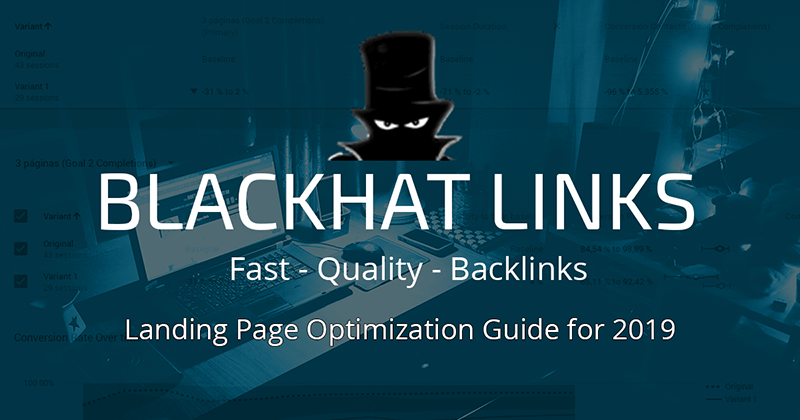 This landing page optimization step will help you understand if your written content is keeping your prospects hooked on what you’re selling and get rid of any unnecessary distractions along the way. We like to use Readable.io to make sure our content is easily read by our prospects, sometimes poorly written content or overly technical jargon drives customers away. Make sure that’s not the case. Check your mobile visitor data and their patterns with Google Analytics. Try different mobile optimizations, and see if they improve your user’s experience. These could be changes in font size, image size, etc. Google’s Mobile Friendly tool can also tell you if there are any issues with your website’s responsiveness. Definitely worth checking it out. You can also ask professional copywriters to proofread your content to make sure it’s on point. Sometimes landing page optimization campaigns will let you know that your written content just isn’t compelling at all, mainly because of high drop-off rates/ low heatmap activity in the latter sections of your content. If you want to be more specific on your landing page optimization, try modifying your forms. Sometimes forms ask for unnecessary data that discourages users from joining your mailing list. Another element you can test is your buttons. Sometimes websites are just not “fluid” or interactive in their buying process, and well-executed landing page optimization will often spot this issue and boost revenue instantly. Landing Page Optimization: When Should a Test End? My advice? Test small variants over a period of two weeks or a month, just to be sure. Consider the fact you’ll be testing only one element at the time and you’ll realize landing page optimization is a never-ending process. As a closing tip, we advise you always set a very specific goal in mind: are you looking to boost your daily revenue from 50$ to 150$? Are you looking to expand your email list from 100 to 600 in three months? Write these down at the start of a landing page optimization campaign! We guarantee you’ll learn tons about user browsing and buying patterns. I can easily say that I’ve had to re-learn many concepts I thought I handled in terms of SEO and marketing thanks to real data and insights from customers, and its knowledge I’ve been able to apply to a number of different projects. It’s a very interesting journey that challenges many pre-conceptions across industries and niches, and to me, that’s great. Not to mention they boost any website’s revenue considerably without having to invest directly in SEO over a very short period of time. Thanks for reading! If you have any questions, as always feel free to drop a comment.